Driven by a commitment to sound operations, ongoing innovation, and open collaboration, we have established a competitive ICT portfolio of end-to-end solutions in telecom and enterprise networks, devices, and cloud technology and services. Our ICT solutions, products, and services are used in more than 170 countries and regions, serving over one-third of the world's population. 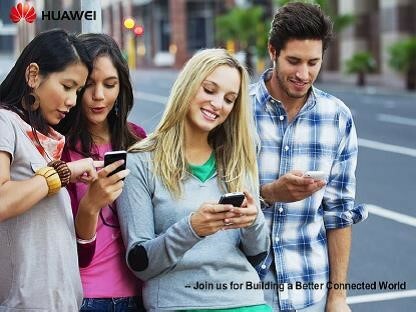 With employees, Huawei is committed to enabling the future information society, and building a Better Connected World. We invest over 10% of our annual sales revenue into R&D and more than 45% of our employees engage in R&D. Leveraging our experience and expertise in the ICT sector, we help bridge the digital divide and promote high-quality broadband connectivity for all. As an advocate of socioeconomic sustainability, we make every effort to support secure and stable network operations, and help customers and industries improve efficiency to drive low-carbon economic growth. By localizing our operations and building a global value chain, we help local innovators maximize their global value and share win-win outcomes. Anywhere you are, Huawei is there. Join us for Building a Better Connected World. Complete the quality check and acceptance of the on-site installation works (comparing the works with the design and the bill of quantity, checking the quality of the works according to operator’s standard and making the final assessment). Knowledge of Microsoft Office package (Excel, Word, PowerPoint, Visio). Willingness and availability to travel for business purposes.